The other thing worth noting is that every time I’ve run this inquiry at the beginning of the year (as is the case this time), the most recent year has been way underreported. 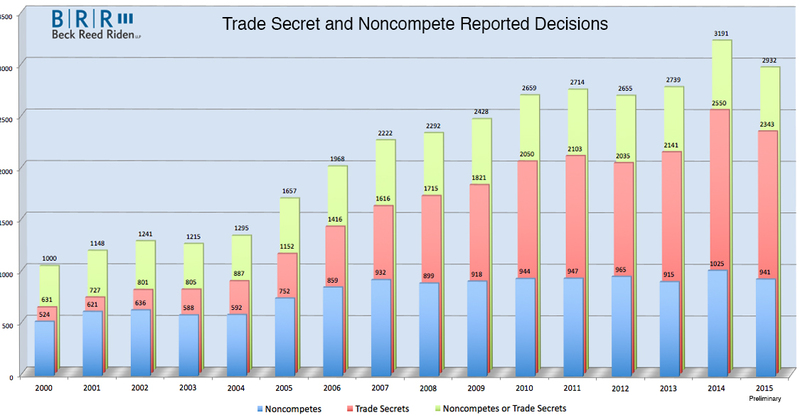 I suspect that it has something to do with how Westlaw updates its database. I will very likely run my search again later in the year, and, if history is any predictor, the 2015 numbers will be significantly higher. We will see! 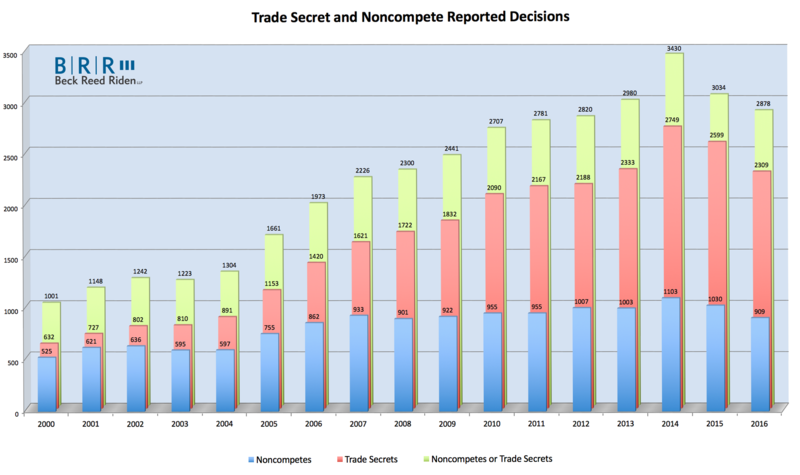 Perhaps most telling is that while noncompete litigation has been relatively static, trade secrets litigation has increased every year, with the sole exception of a slight dip in 2012 and (preliminarily) 2015.